Reduce water evaporation and save energy by installing a bubble-wrap style solar pool blanket. This type of cover costs less than $125 and can be installed in an hour. Solar blanket as tiny bubbles that provide insulation for retaining heat. If you have a swimming pool, you may be painfully aware of how much water it can lose through evaporation, particularly in summer months. Over the period of a year, thousands of gallons of water can evaporate from a swimming pool. Considering the scarcity and expense of clean water, this is a terrible and unnecessary waste. To curb this water waste, you can install a pool cover. Not only will a pool cover dramatically reduce evaporation, but it will also minimize loss of pool chemicals and cut down on energy bills by helping to warm and retain heat in the pool water. On the downside, oxygen is a necessary part of maintaining the chemical balance of water, so your battle against algae may increase. And pool chemicals can be hard on the cover. 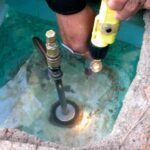 It’s often recommended that you remove the cover for a couple of days following water treatment to allow the pool to “breathe,” and to minimize the corrosive action of chemicals. If algae tends to run rampant, you can try peeling back the cover so that it only covers half of the pool, alternating to the other end of the pool. 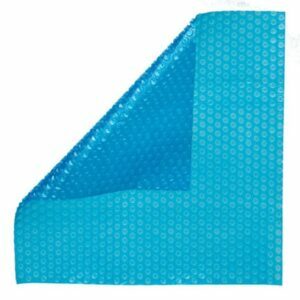 As discussed in the article, Swimming Pool Covers & Cleaners, several types are available. Here we look at a bubble-wrap-style solar pool blanket, the least expensive type. This cover is intended to keep the water and heat in the pool. 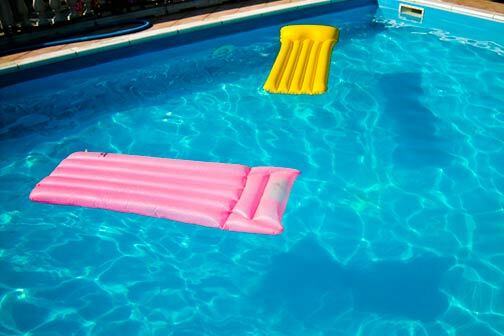 Please note that this type of cover does NOT make the pool safer for children or pets, and always should be entirely removed before using the pool. The first step is to unroll the cover across the pool’s surface, bubble side down. 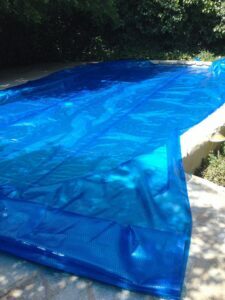 You can buy a swimming pool solar blanket online from vendors such as Amazon, and have it delivered within a few days. Expect to pay about $115 for an 18-by-36-foot rectangle of 12-mil thick pool cover . A thicker 16-mil cover will cost about $150. The cover may carry a 7-year warranty, but don’t expect it to last that long. Ultraviolet (UV) radiation, pool chemicals, and basic wear-and-tear are likely to shorten its life to 3 or 4 years. Slice through the cover along the tile at the waterline, using a sharp utility knife. 1Unfold the cover bubble-side down next to the pool. With a helper, drag it across the surface of the pool so that it completely covers the pool. 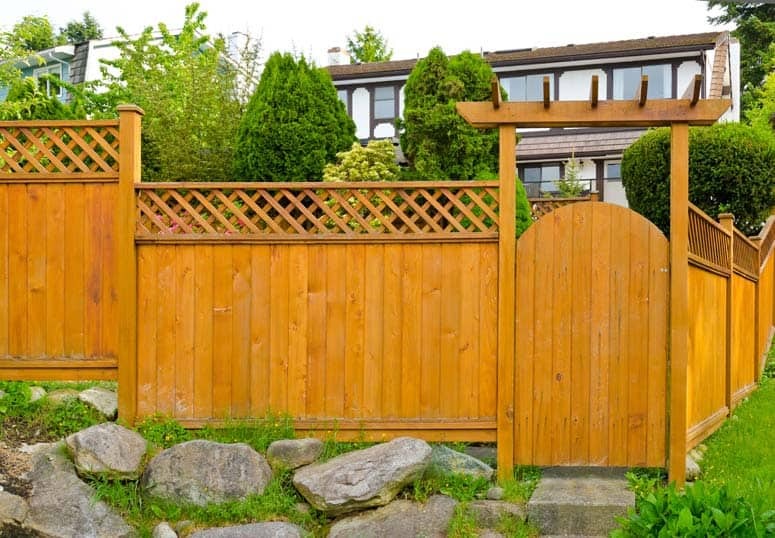 If you have a rectangular pool, position the cover from one corner, aligning it with one long wall and an end wall so that you only have to cut the two opposite sides. 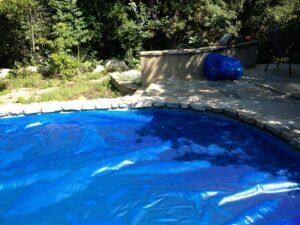 For an irregularly shaped pool, just be sure the cover reaches all the edges when it is pressed down tightly where the water meets the perimeter liner tile. As you cut the cover, continually check the perimeter for a tight fit. 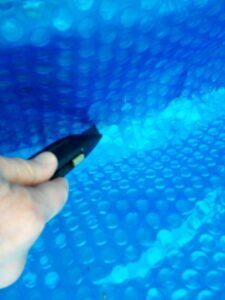 2Use a long-handled pool brush to flatten the cover against the water, pressing out any large folds or air bubbles. When fully installed, the blanket should float flat on the water, barely touching the tile around the perimeter. Following is how to cut it so that it does that. 3Kneeling on the coping, use a very sharp utility knife—and scissors if necessary—to cut the blanket where the water meets the tile. To ensure accuracy, press the cover flat against the tile until you can see the waterline along the tile beneath it. (This is a bit easier to do with thin-mil covers.) 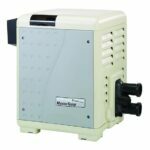 If it’s hard to see the waterline through the cover, you can try turning on the pool light and working late in the day. With the utility knife, cut the cover exactly along the water line. 4Occasionally check the opposite side of the pool to make sure the cover isn’t shifting position while you work. Remove the excess scraps. 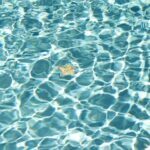 5When the pool cover is not in use and during the off-season, it is recommended that you fold it up and store it in a protected place to minimize damage and UV degradation.